Baltimore already has quite the image problem when it comes to crime, and the recent news that it still ranks as the fifth-deadliest city in the country doesn't help. You know what else doesn't help? 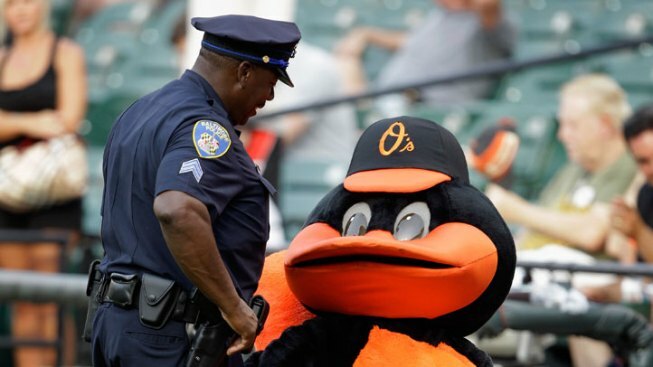 Seeing images of the Baltimore Orioles mascot being arrested on the field by one of Baltimore's finest. This image was snapped by Getty Images photog Rob Carr during Tuesday's game against Oakland. Listen, we're all for mascot shenanigans. The more wacky hijinks at sporting events, the better.